By this useful Article I guide you that how to install Adobe Flash Player in any latest or Old Linux Versions. In my experience in Linux distros has been used widely in all over the World. Adobe Flash Player is most important application, it permits to video games, multimedia content, rich media, allow all videos on all browsers. You can also support all systems like Windows, Mobile OS, Linux, MAC and more popular applications. Adobe Flash Player is separate application for Linux Distros, like Ubuntu, Linux Mint and others, you have read already lot of Article this is very different than other tutorials. Adobe Flash Player is support all Browsers for best result, if you have not installed Adobe Flash Player, you will get Plugin errors in any browser. 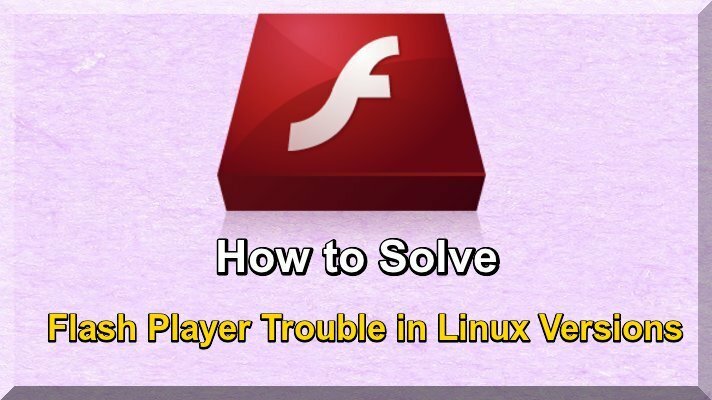 Now I guide step by step that how to install Adobe Flash Player in Linux versions. First I suggest that install Ubuntu Restricted extras for all multimedia support, MP3 and all video formats to use the following command. Now it is necessary to update all repository to use the following command. Install Flash Player to use following command in terminal. For Latest Ubuntu 64 Bit Now open /etc/apt/sources.list file and search the following lines. Now Update Repository with following command. Finally install Flash Plugin to use the following command in terminal.